Can you sell your property at best price and quickly? Property sale process should not be cumbersome if you can get help from a reliable property dealing firm. When there are numerous property firms in the market, you should choose the right agency through which you will get the price and the property is sold very quickly. If you need to meet your financial commitments on emergency basis, you should go for cash offer as well. The property firm should go for quick assessment of the property and you should get the money in few days. 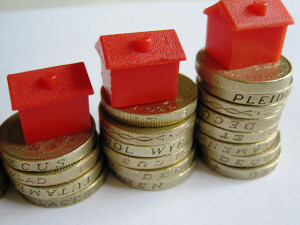 We pay the most has great prospects to get best value for on your property. Even though it is a new service, the company dealt with property related matters in various locations. You can approach the Wepaythemost firm after making minor repairs (if any) on your property. You can also take the help of professionals so that the property can be made most appealing in the sight of prospective buyers. After making those minor changes, you can approach the property firm so that the property valuation will be done. You can submit the post code and your information so that online valuation will be done. The valuation will be done very quickly. The automated tool will results in few seconds. You will get a quote based on the valuation of the automated tool. In addition to the utilization of the online tool, the property will also be assessed by an independent valuer. The exact value of your property will be spelled after the assessment by independent valuer. In order to avail free online valuation, you can fill your details on the form presented on Wepaythemost. Name, email address, mobile number, house number, postcode, estimated property value, mortgage amount and how quick you would like to sell should be mentioned on the application form. After clicking on the button ‘Apply’, you will get approximate valuation in few seconds. How to make the most of Wepaythemost property firm? We pay the most offers reliable service for property owners. The property firm deals with a company which is capable of outright purchase of properties. It also maintains good contacts with potential property buyers. In addition to the established network, there is open market option as well. In all likelihood, the property will be sold in less than one week. You will get your money in 7 to 10 days. If you opt for cash offer, it is not possible to get 100% market value. It will be around 83% of the market value which is the best that you can get in UK from any property firm. The platform offers risk-free sale. You will not want to pay any amount to Wepaythemost. In addition to the free service, the valuation charges and solicitor charges are waived. If you are a first time customer, you can reach the property firm by clicking on either the red or blue button which is present on top of the website. Repeat customers can speak over phone and get all clarifications at any time. The application will be processed on 24 x 7 basis. As the company has access to infinite funds, your property will be sold very quickly and you will get the market value without any difficulty. There will be complete transparency in the deal. By staging the house which involves cleaning, decluttering and depersonalization, the value of your property can be enhanced. As per the survey done by Association of home staging professionals, 95% of the houses will be sold quickly and at best price if they are staged.